and other poems as inspiration." A poetry tutorial to inform and inspire poets. Model poems with prompts, writing tips, and interviews contributed by fifty-six poets, including thirteen former and current state Poets Laureate. Sample poems from an additional forty-five poets. Geared for experienced poets and aspiring poets. Guaranteed to break through any writer's block. Ideal for individual use at home or group use in the classroom or workshop. Contributors include some of our nation's finest poets. 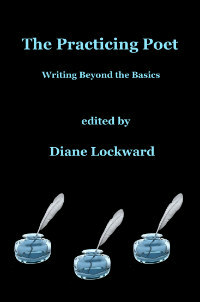 These fifty-six poets contributed twenty-seven Craft Tips, ten Poet on the Poem Q&As, and twenty-seven model poems that go with the prompts. Forty-five accomplished poets contributed sample poems inspired by the prompts in this book. Here is a must for teachers of poetry. . . a feast of poems and instructions. My copy just arrived today, and already I can tell it's going to be a favorite. Some of my favorite contemporary poets. . .are included in this "collection of poems, prompts, craft tips, and interviews for aspiring and practicing poets." Teachers of poetry especially will want to have a look at this very useful book. I LOVE the poet interviews sprinkled in with the craft tips. These alone are worth the price of the book. I highly, highly recommend it to any poet writing today. It brings forth much fruit! Do go and secure a copy immediately. This is an excellent and practical guide for practicing poets. This is a beyond-the-beginners book that skips fluff and cheering for hands-on writing prompts that get the mind working and the pen rolling. The Crafty Poet is a practical, thoughtfully organized, and beautifully presented resource that will inspire poets of every stripe with prompts, writing tips, poet interviews, and numerous examples and sample poems. It's the best book of its kind that I've seen and an excellent resource for poets, teachers, and students. . .My writing group is already emailing back and forth with comments on the book—things they like, prompts they've tried, and poems they enjoyed reading. It's a great book with something for everyone in it. I've ordered a second copy so I can have one unblemished for my files and one with dog-eared and rumpled pages within easy reach on my desk. So there I sat, a passenger, while we drove up and back between Morristown and Plymouth for my friend's son's wedding. And what did I do? I used The Crafty Poet to prompt myself and wrote several drafts and fine-tuned two others in progress. What fun! Golden oldies playing in the background, a new notebook in my lap, and a workshop in the Honda Civic. Kudos to Diane for producing this amazing work. Of course, the book is on my resources list for workshops I'll conduct. I was surprised at how thick it is....so many idea-full wonderful pages to read, think about and use to write poems. I will surely tell the students I work with about the book and show it to them in the hopes they will buy their own. Loved the Poet on the Poem "The Rudest Gesture is the Phone that Rings in the Night." Fabulous process she had for this poem. So much more to savor. What a gift you have given us! It is a marvelous workshop resource and I intend to write many poems by following the exercises offered. It is something I have already recommended to others...congrats again on putting together such a lovely and useful volume! Oh my, it's gorgeous!! I can't put it down. WOW. This is the best exercise book I know of. . . .you have written a gem. My copy arrived yesterday and I am entranced! Every poet/writer should own a copy of this. Well done, Diane Lockward! I received your The Crafty Poet in the mail today and found that I was only a few pages in when I was compelled to go get a pen. Not sure why, since I just held it in my hand while I read, but I'm pretty sure it had something to do with sitting down to a feast without a fork. Yum and thank you. Writers and teachers of writing: If you’re looking for a book that illuminates the nuances of poetic craft, then you’ll find The Crafty Poet to be a terrific teaching tool. It’s also a powerful text for individuals seeking to break through creative blocks. You’ll encounter model poems with accompanying prompts, interviews with poets, discussions of process and inspiration, and more. I highly recommend this book! 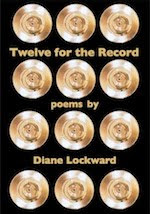 Diane Lockward has put together a collection of helpful, entertaining craft tips and poems by an array of excellent poets, including Cecilia Woloch, Edward Byrne, Dorianne Laux, Linda Pastan, Ann Fisher-Wirth, to name just a very, very few. In retrospect, trying to read Diane Lockward's new book, The Crafty Poet, in bed might not have exactly been conducive to getting some sleep. Drafted 2 new poems after the light should have been out. Buy the book, poet friends. Buy it. Buy it now. Buy it. 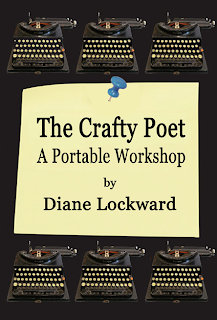 I'm reading Lockward's The Crafty Poet now--it's rich with ideas and inspiration! There are many really great exercises and examples in this book, and I know I will refer to it often in my teaching. This book has a spectacular array of model poems and information from poets on how they see the craft. It will get you writing and it will help you keep on writing poems. It would make an excellent gift for a poetry writer, and would be extremely useful in a poetry writing group. I was just at a 4 day retreat with two poet friends. Each of us had a copy of your book. And we used several prompts. As a result we walked away with about three new poems each and several revisions of old ones. Thank you for your newsletter and your book!